Looking for a one-step concrete sealer? We have the product of choice of many Fortune 500 companies - a single component moisture cured urethane, clear coating and concrete sealer for areas where high wear resistance is required. It produces a hard, durable, chemical and abrasion resistant coating, and builds a thick protective film to preserve, dustproof, and provide ease of maintenance to applied surfaces. 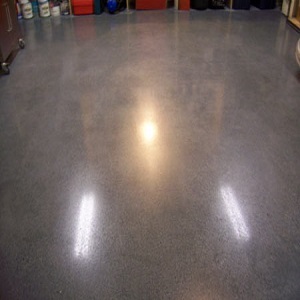 Our unique floor sealer will stand up to abrasion, water, scuffing and resists gasoline, greases and acids. It is the product of choice wherever moisture may be a problem! For over 30 years, commercial concrete floor sealers from Capital Industries have been proven to be the preferred compounds for many Fortune 500 companies, even in the toughest environments and situations. Our concrete floor sealer experts at Capital Industries understand the tools, products and procedures that can get you the best results. The information for the products below will provide you important details, and with our consultation you WILL be successful with your projects. REPORE is a single component moisture cured urethane, clear coating and concrete sealer for commercial areas where high wear resistance is required. It produces a hard, durable, chemical and abrasion resistant floor coating. It builds a thick protective film to preserve, dustproof, and provide ease of maintenance to applied surfaces.